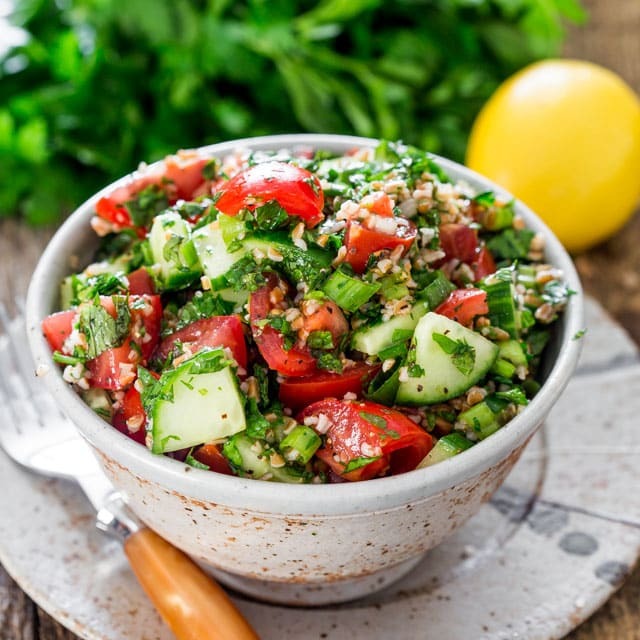 Tabbouleh Salad – a traditional refreshing tabbouleh salad featuring bulgur wheat, tomatoes, cucumber and loads of parsley and mint dressed with lemon juice and olive oil. 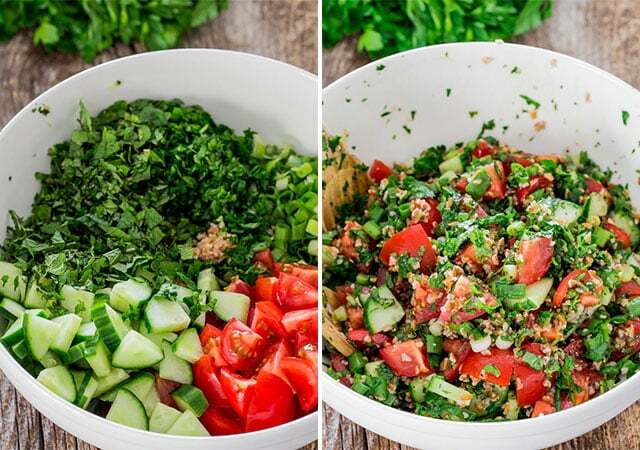 I learned about tabbouleh salad a long time ago when I was in university and I had a friend who was from Lebanon. Her and her brother had a party once to which I was invited and one of the dishes served there was this tabbouleh salad. Back then when I was a student I hated parsley or any herbs for that matter, but once I tasted this salad I fell in love with it. It’s so refreshing, and I love the mint and the lemon flavor in it. I love Arabic flavors and ingredients to begin with, all the lemon, olive oil, fresh veggies, cumin, sumac, everything is just so delicious. 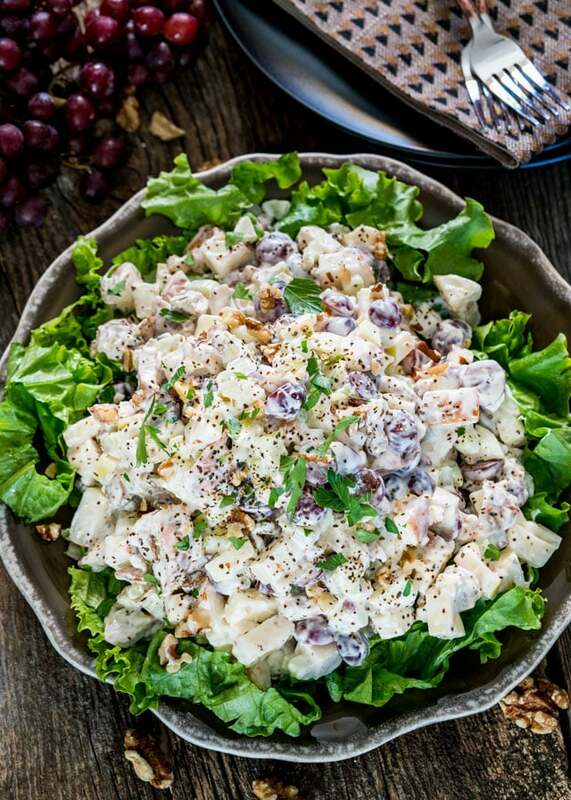 This is a salad we make quite often at home, it’s easy to make, and you can actually enjoy it as a meal, though we always serve it with some sort of meat. We’re no vegetarians by any means. Today I served this with chicken shawarma, stay tuned for that recipe because it’s to die for! So I want to stress out with the salad to not be afraid of the parsley and the mint. This salad is about the parsley and the mint, don’t think about it as just a garnish. Parsley and mint are key ingredients in this salad and without them it just would not be tabbouleh salad. I chose to cook the bulgur here, but another option is to soak it in the lemon juice and olive oil. It’s up to you how you decide to do it. In either case the bulgur is also a necessary ingredient, though many times it’s replaced with couscous. Again up to you how you do it, but if you want more of a traditional tabbouleh then go with the bulgur. 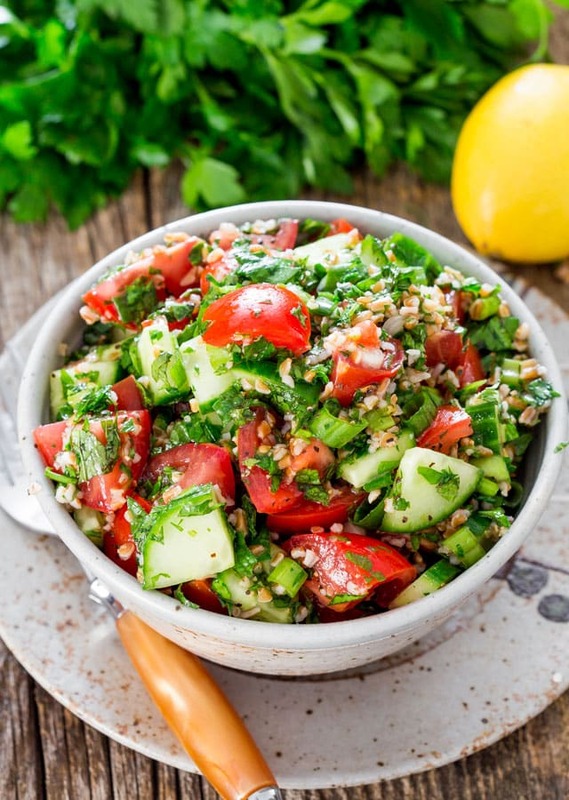 Tabbouleh Salad - a traditional refreshing tabbouleh salad featuring bulgur wheat, tomatoes, cucumber and loads of parsley and mint dressed with lemon juice and olive oil. Add water to a small pot and bring water to boil. When the water is boiling add the bulgur and cover. 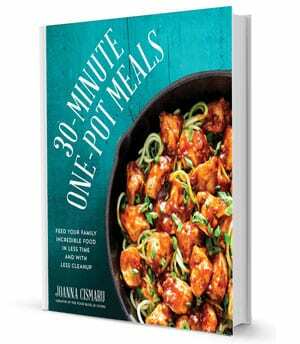 Reduce heat to a simmer and cook for about 5 minutes or until all the water is absorbed. Stir occasionally. Let the bulgur cool. Add bulgur to a large bowl, then add remaining ingredients. Toss well. Love this recipe…do to my GF diet I use quinoa in place of the bulgur wheat still comes out wonderfully. 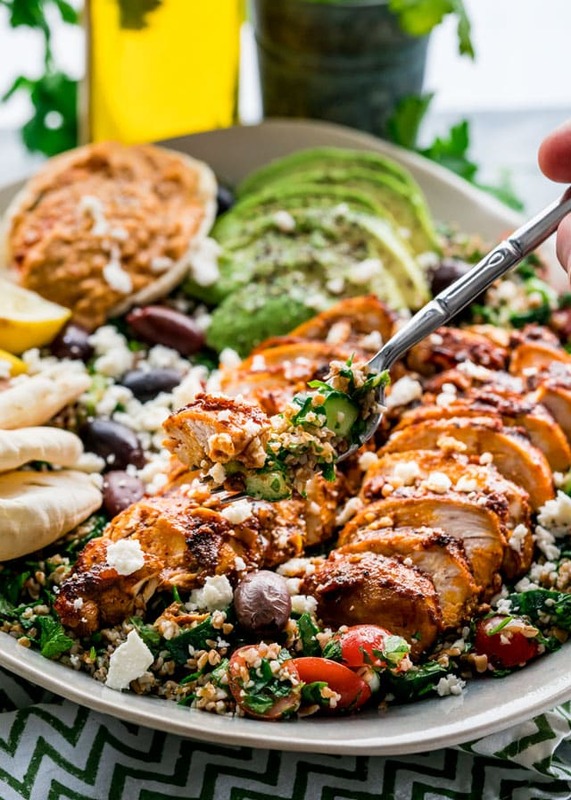 We top our chicken shawarma with this salad and it’s heaven. I made this tonight. Very yummy! I caught myself going back for spoonful after spoonful before I put it in the serving dish:) I did substitute couscous for bulgur, no other changes were made to the recipe. Thank you! Recipe doesn’t specify how much parsley or mint (or if it does, it doesn’t show up on my phone.. Just looks like a number should be there but it isn’t). So I winged it. Tastes ok.
Not sure what happened there, Heather, it must have got messed up somehow, but I just updated it for you. Hi, happy new year. with due respect to you and your team and the followers, this is not the real traditional Tabbouleh. This is a kind of healthy salad , but not TRADITIONAL Tabbouleh. I am very sorry to start 2016 with this comment but we have to make sound start. Best regards and wishes to all. Me too! We belong to a CSA too…I love this time of year! Farm fresh veggies galore! I love tabbouleh but guiltily, I always store buy it! You totally have inspired me to make it myself Jo. You mentioned in the intro, that the salad had cumin and sumac in it, but I don’t see these in the ingredients list. Also, have you ever tried making this with Quinoa? YES~!!!! I love me a good tabbouleh salad!!! The mint and the parsley really do make it! 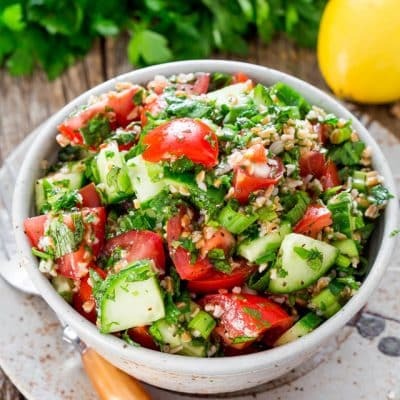 I live in Dominican Republic and as we have summer weather the whole year my mother likes to makes tabbouleh often cause is so refreshing and effortless, but never tried before with mint on it, thanks for share this recipe, gotta try. 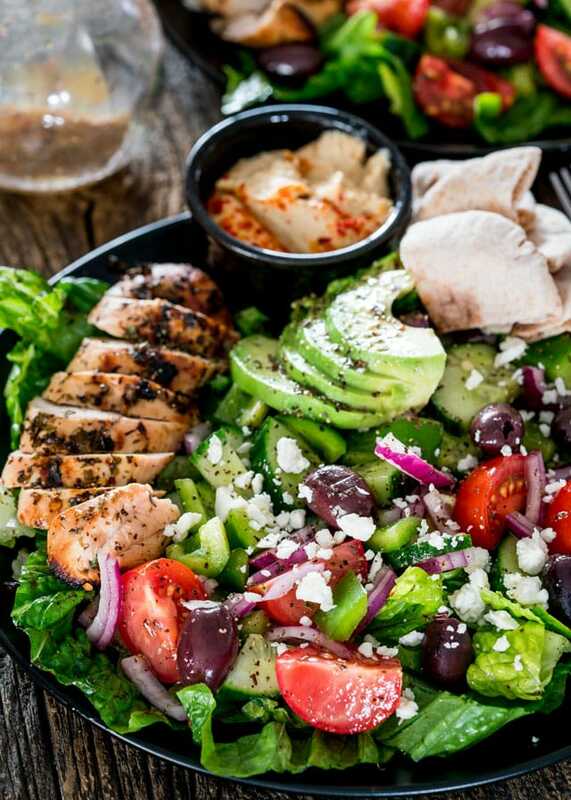 Looks simple, fresh and wonderfully tasty! This was one of my biggest “woe is me” moments when I began to have gluten sensitivity issues. Now I make it with quinoa and continue to enjoy it a lot. I love this tabbouleh. 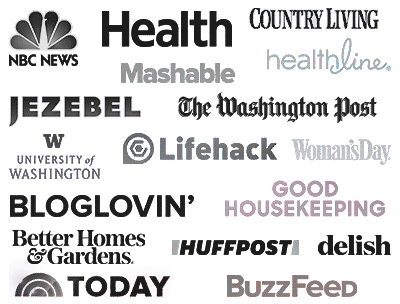 You’ve used a little cracked wheat and a lot of everything else – my favorite. It looks SO fresh and delicious.